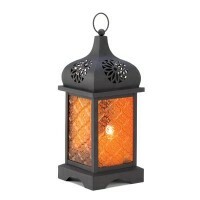 Tuck a candle inside these artistic lanterns, and enjoy a dazzling spectrum of light and color! 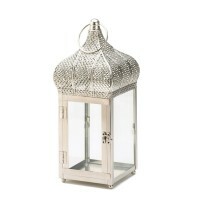 Ornate metalwork and a variety of glass panels combine for a truly theatrical effect. 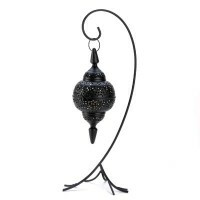 Inspired by Moroccan design, a candle lamp is suspended by a wrought iron curlicue floor stand, w..
Like a temple tower at sunset, the pressed glass panels of this metalcraft lantern blaze with.. 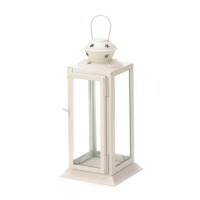 Imagine your tranquil garden at sunset, with elegant lanterns filled with twinkling li.. The glow of a sultry evening can be yours whenever you want. 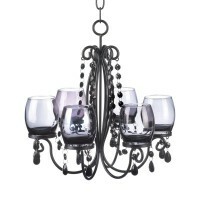 This chandeliers faceted baubles dan.. 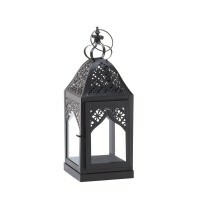 The captivating design of Morocco will add some international flair to your candle wit..
A gorgeous way to display your favorite candle and enhance its glow, this dark metal candle lante..
Raise the "wow" factor in the room with this stunning Tall Steeple Lantern. The frame features da.. 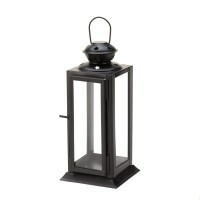 This compact candle lantern packs a lot of personality! 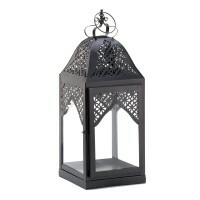 Six clear glass panels are set in a black.. 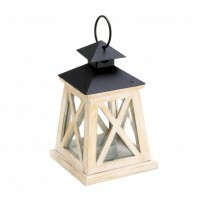 This rectangular candle lantern features a dark metal frame and clear glass panels that allow a c.. 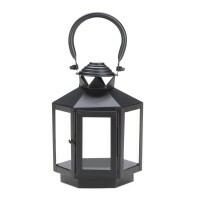 Turn the dark of night into star light with this beautiful candle lantern. 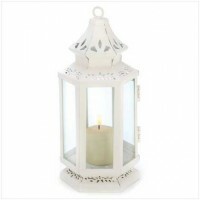 Four clear glass panel..
Showcase your favorite candle with this stunning Bungalow Candle Lantern. 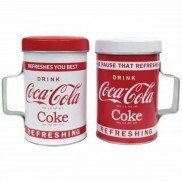 The four clear glass pa.. 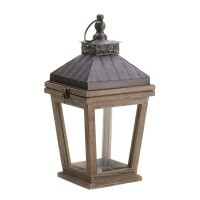 This wooden candle lantern is the definition of classic country charm. White “X” trim highlights .. 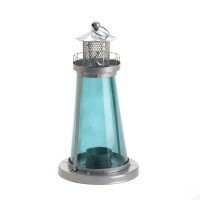 This beacon will shine with blue glow when you light a candle of your choice inside. 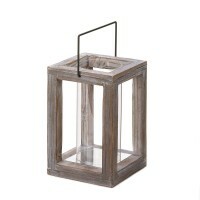 The tinted b..
Give your home or garden the glow of rustic charm with this gorgeously unadorned candle lantern. ..
Let the country charm shine! 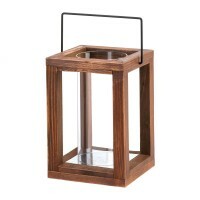 This rustic and stunning candle lantern features a wood frame that h..